We are only as good as what we are coating to. We take great care in making sure your floor is prepped properly. We have the tools and equipment necessary to get the job done. 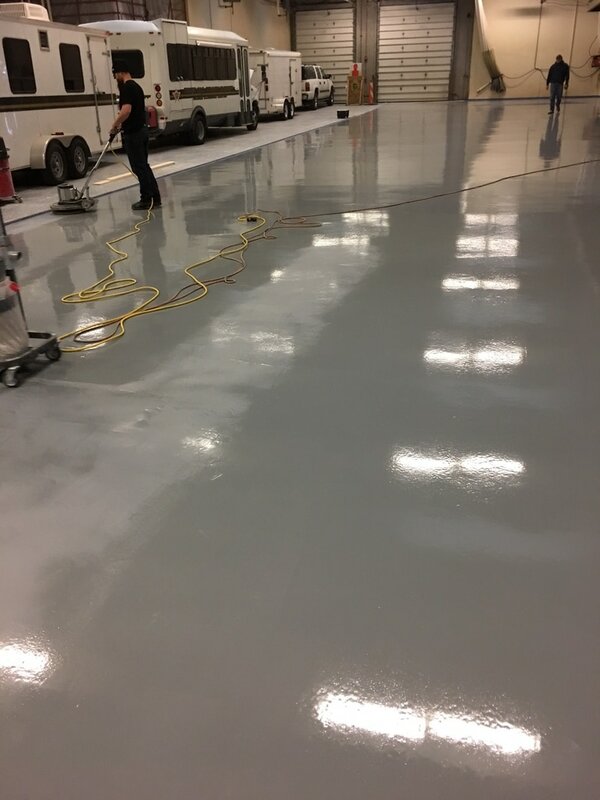 We grind every floor we coat with our industrial, walk behind grinders. 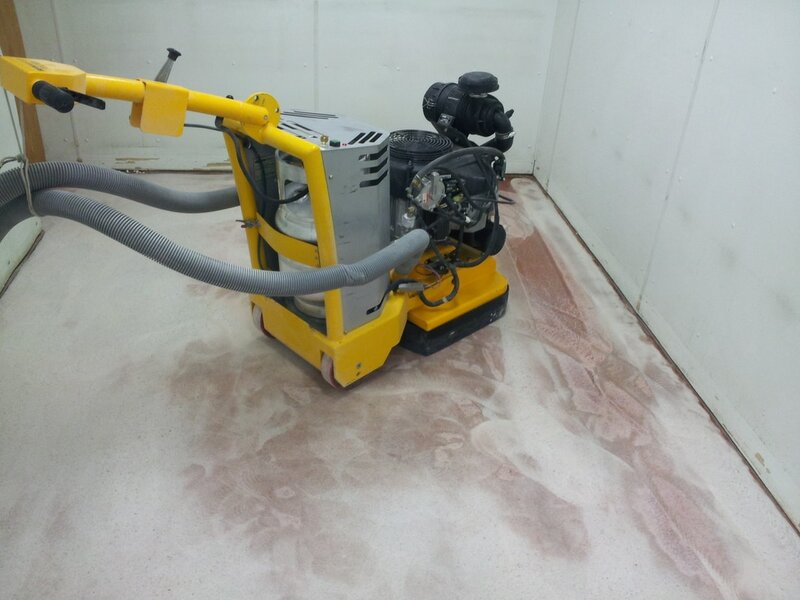 We take great care in making sure the process is as dustless as possible as we always have or grinders connected to large dust-free vac systems. 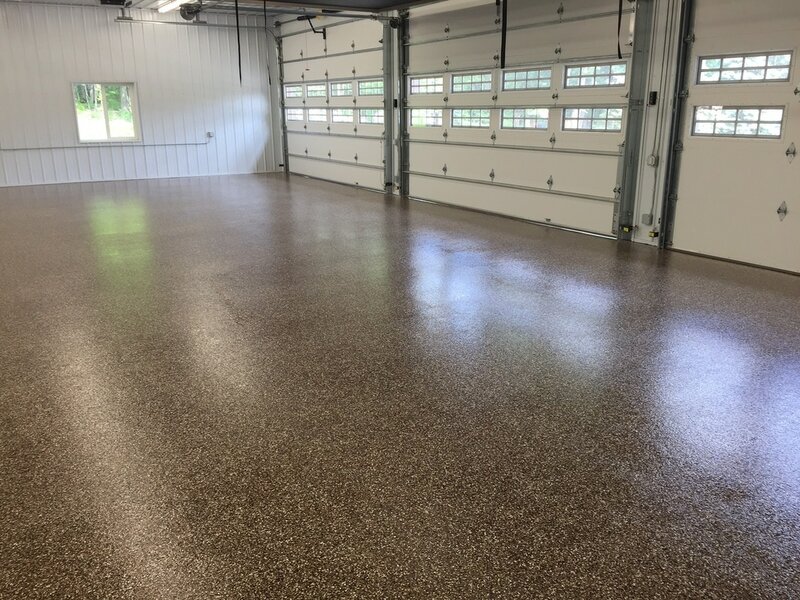 Once the floor is properly prepared, we fill in any cracks chips or even expansion joints with a specially formulated concrete polymer to give you a truly seamless looking floor. We then grind the floor again for a seamless finish. 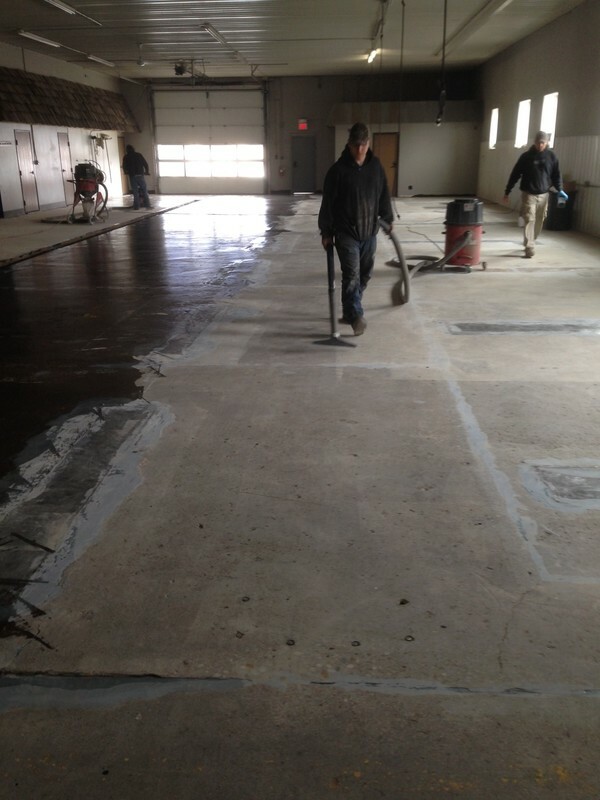 Next we apply our first coat of polyaspartic. 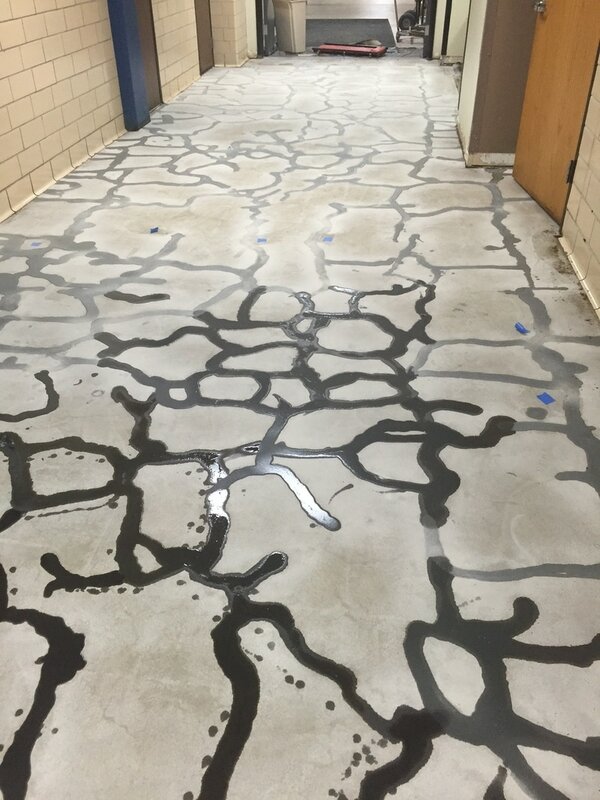 This coat has been specially formulated to give us maximum penetration into the concrete. This is really what gives unsurpassed durability and how we guarantee it won't peel. We then apply our chip coat and two coats of clear for the beautiful, durable finish.